Frequently referred to as Erasmus, Desiderius Erasmus Roterodamus was a Dutch priest and scholar. Using humanist techniques for working on texts, he prepared important new Latin and Greek editions of the New Testament. He lived through the Reformation period and consistently criticized some contemporary popular Christian beliefs. 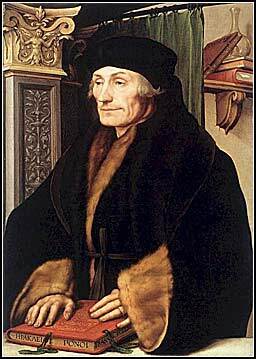 In relation to clerical abuses in the Church, Erasmus remained committed to reforming the Church from within.